In all seriousness, I feel like Target has really stepped up this area of the store, specifically in regards to the amount of merchandise that they are marketing to educators. Art supplies, storage bins, bulletin board materials, and math manipulatives just to name a few. It should come as no surprise that Target has us teachers in mind as they fill their shelves with goodies. 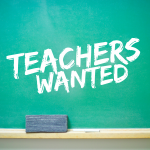 Educators flock to their stores by the millions and there is even an Instagram account called @TargetTeachers that has over 350 thousand followers. 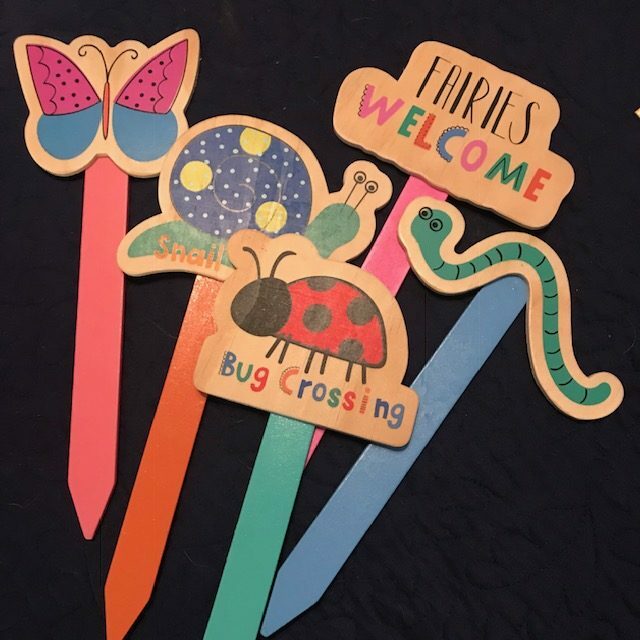 Run by Michelle Griffo and Hadar Hartstein, their feed is filled with all the wonderful things that Target has to make your classroom incredible. If you have an Instagram, go follow them now, if you don’t already. You will no doubt be inspired to shop! Last week my friend Julie Jones and I were hanging at our favorite local coffee shop, Little River Coffee Bar in Spartanburg, SC when the topic of the Target dollar spot came up. We were brainstorming ways to encourage creativity in our daily lives when she challenged me to go to Target right then and find 10 items in the dollar spot that I could use in a creative way. At first I wasn’t in the mood for such a challenge. I was feeling kind of down, laziness was my best friend that day, and I had no desire to stretch my brain in Target. We continued on in new areas of conversation, but my brain was silently contemplating her challenge. It wouldn’t let it go. All I could do was think about what creativity I may be missing out on by not going straight to Target. Creativity is often viewed by the masses as an “artsy” way of thinking, but according to author Tanner Christensen in his book The Creativity Challenge, “Creativity is a change in the way you think about thinking.” Julie’s challenge, coupled with Tanner’s definition, lit a brain fire in me that could only be put out with a big dose of Target water! So… Off I went! When I arrived at the store, I must admit I felt a little pressure to come up with 10 items. Could I do it? Could I think that hard? What if nothing inspired me? What if the shelves were in restock mode? Empty and bare. Fortunately, the shelves were full and my game of creativity began. Here’s what I found! Immediately I put 2 in my buggy (Yes, we southerners call it that. It’s part of my culture. Don’t be hatin’.) 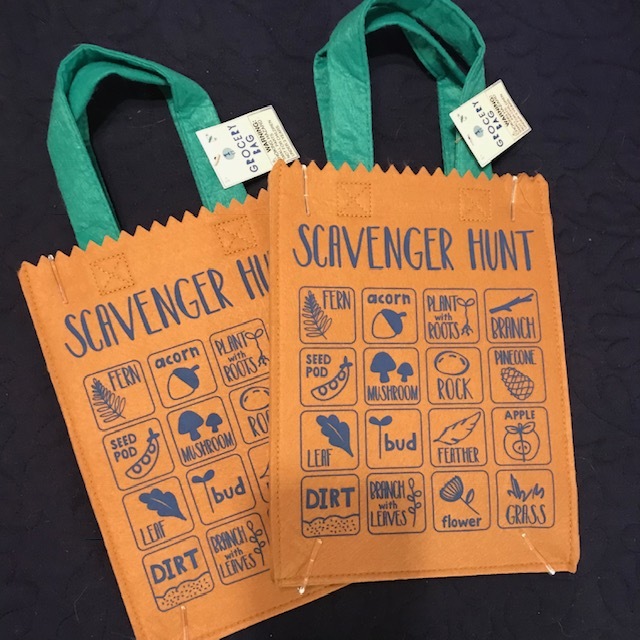 The idea of this bag all by itself was creative, but my spin on this was to use this as an example for students and teachers to create their own scavenger hunt bags. The places you could make bags for are limitless, and think of the way this could be a collaborative project with the art teacher! You could also create bags of scavenger hunt facts about animals, eras of history, elements from the Periodic Table, math equations and more. This little bag really got my mind in gear, and I was ready to dig around for more ideas! When I saw this item sitting on the shelf, it looked just like it does in this pic. If you don’t see what I see, then your brain isn’t working. This isn’t a normal pouch. Oh no! It is pet monster bag waiting to devour all the things that need storing. Don’t you see it? I bought like 10 of these. 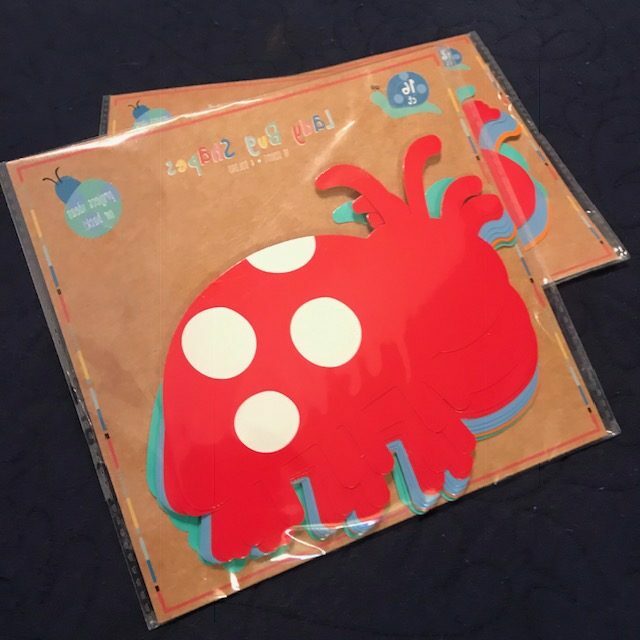 I want to glue wiggly eyes and foamies all over them to use for a whole slew of fun games for students and teachers. I would tell you my games, but why should I limit the creativity in your brain with my ideas. 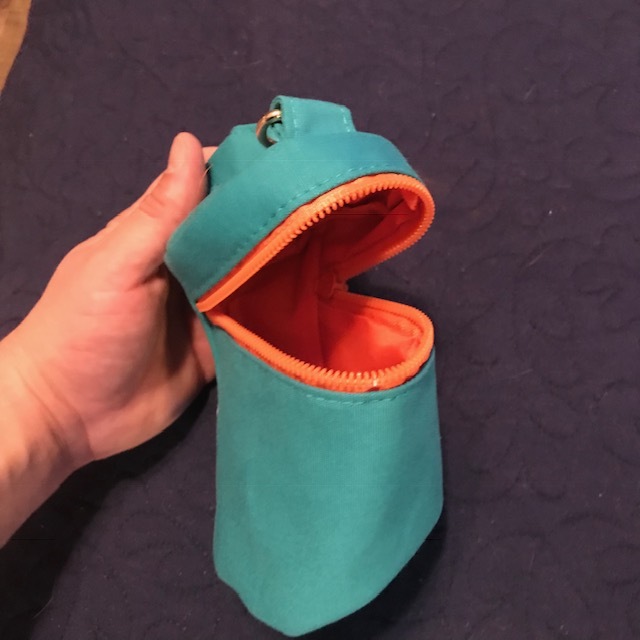 What kind of game would you play with this monster pouch? Maybe I am behind with this item, but it was the first time I have seen them. The wanna be art teacher in me liked this so much! I want to plot my own pictures and coded messages for professional development trainings I lead. 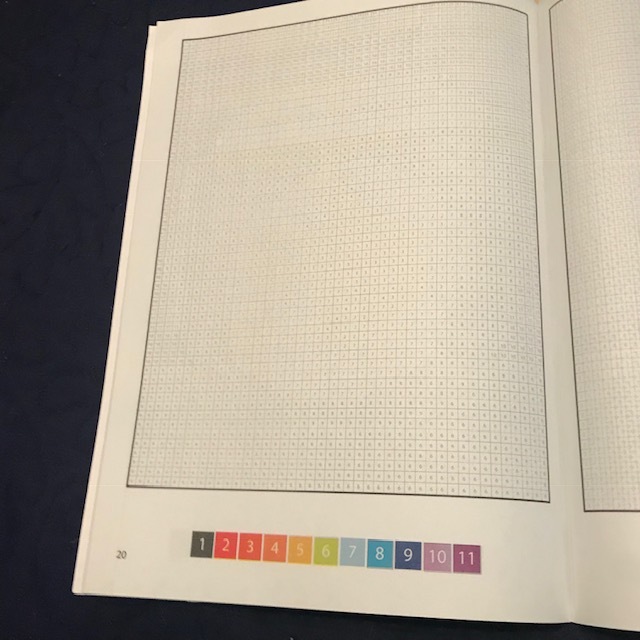 Every 5 minutes of the PD, I can ask teachers to color as many squares as possible. First one to reveal the message wins a prize. Maybe teachers could do this with their classrooms over a period of time as a class behavior incentive or to reveal special content information in a fun and unique way! There are lots of ideas I had for these unique hangers. The open from the top and close to clasp objects below. 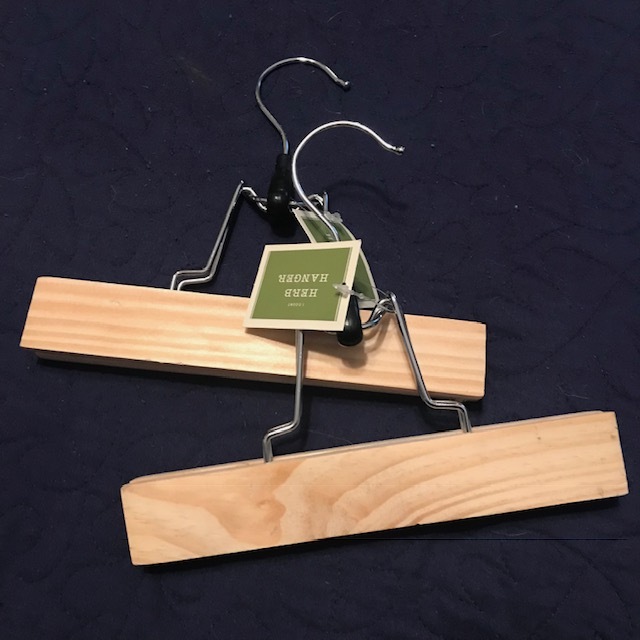 They were with gardening items in the dollar spot and actually have “Herb Hanger” printed on the other side. 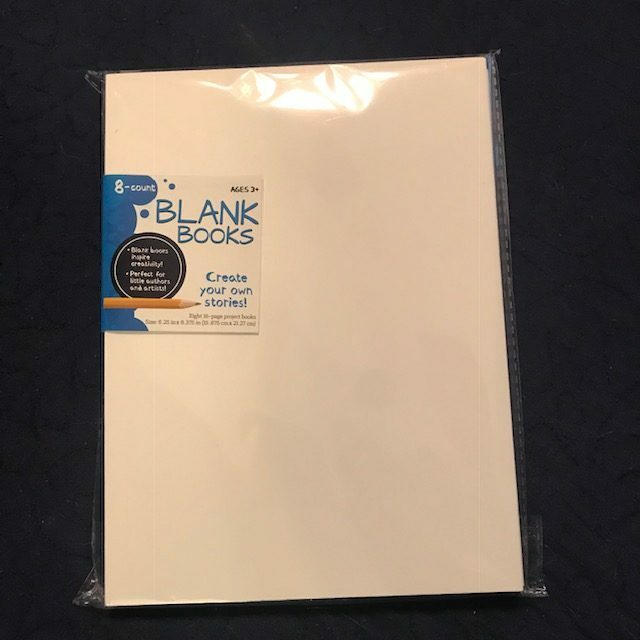 My thought was to buy 1 per student and use them on a hallway bulletin board all year long. Just open them and insert new work as needed. Of course I wouldn’t leave them plain like this. I would ask each student to design the hanger in a way that showed the world who they are! I also thought about using this from in professional development with administrators as an illustration of what can happen when leaders “clamp down” too hard on their workers. 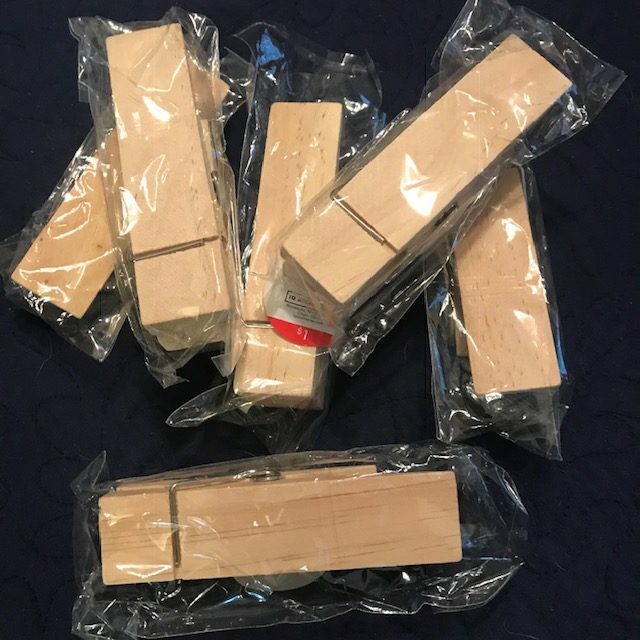 They close pretty tightly and if used the wrong way, could cause damage. These aren’t anything new in the teacher world, but the moment I saw them my brain did begin to process some new and inventive ways to use them. When I taught second grade, I did a huge unit on insects. These would have been great to give to students in groups of 4 and ask them to create a card game about insects. I could create a game for them, but how much cooler for them to create their own. Don’t limit these to your insect unit, or to just elementary curriculum. Middle and high school students need to play too. I would love to see what greatness the older students could come up with using these! These have been around forever in education. They can be easily made with any kind of paper. I once made them out of copy paper and empty cereal boxes. That said, these were only $3 for 8 books. A class set for around $25 seemed reasonable. Now… What to do with them that is something new? That’s a tough one for sure because so many amazing educators have filled these up with great ideas. My idea was to fill each page with sketchnotes using Wonderopolis.org as a guide. Call the book something alliterative with “wonder” or “sketch. ”Read the articles they post, sketchnote the highlights, and share them in the Seesaw app. This would teach students how we teachers blog and use social media to new learning, as well as give them some practice sketching to show comprehension. Need help starting with sketchnoting? Start with Sylvia Duckworth! These pins are just begging me to paint them ROYGBIV and hang them somewhere special. They are super large! 5 inches to be exact! I would call them “character clips” and label each clip with a specific character trait that I was looking for. Then, hang a color matching ribbon from the clasp part. Tell students that they should be on the lookout for peers with good character. Have students complete a “Character Clip” form when they see it happen, then hang it from the ribbon attached to each clip. Be sure to celebrate the person that was noticed by a peer! You could also hot glue these clips to a cinder block wall to hold important info. 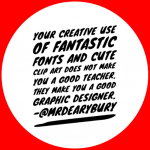 Or, you could put them inside a flower pot, clippy part up, and place student work in the clip to look like flowers. It would make a cute Mother’s Day gift. You know what I said about those big clips holding flowers? Here ya go! Write mom all the messages on these right here! 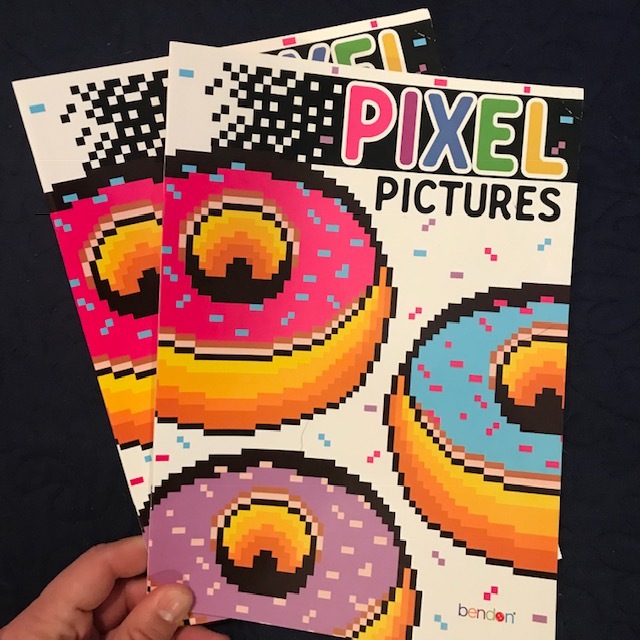 If you aren’t feeling the gift idea, what about this? 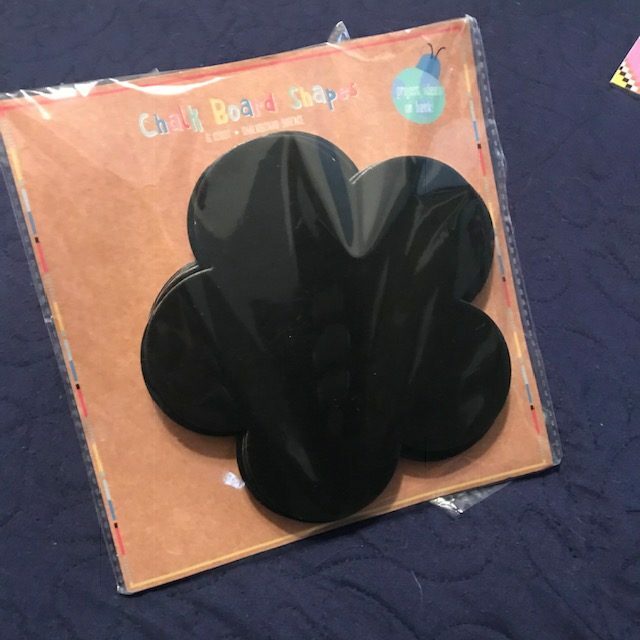 Take these flowers and hot glue them to rulers to make unique answer boards. You could also take the flowers glue to rulers and make a nice bouquet of encouragement for the lunch ladies! They would LOVE IT! OMG YALL!!!!! The Easter Bunny gets his socks at Target Dollar Spot! That’s what I thought when I saw these socks. Of course I got them! I can only imagine the stories my former 1st graders would have made up had I told them I found the Easter Bunny’s socks! 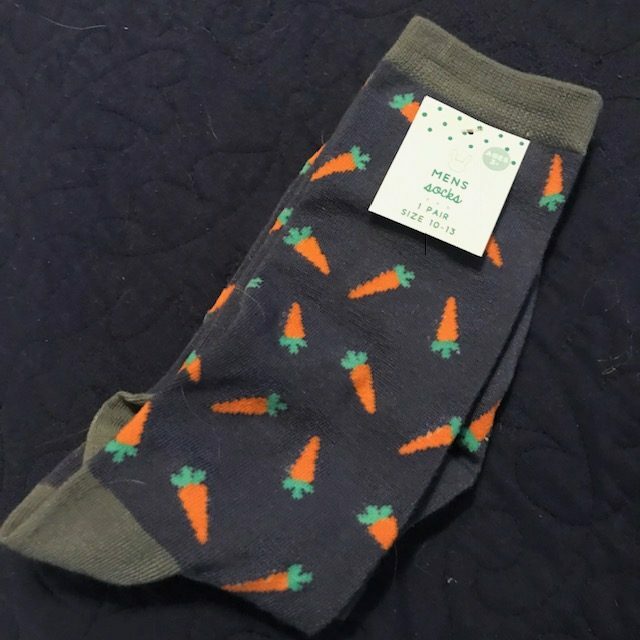 If that idea doesn’t suit you, these carrot socks would make a great spring time puppet. Yeah, I am looking at you middle school teacher. Your students like to be silly too! So there they are. The 10 ways Bullseye’s Playground at Target inspired me to be more creative. Some of the ideas might seem silly to you, but for me, in that moment, my brain was growing and rethinking the way I think about thinking. Thanks to Julie for spurring me on! I am already excited for my next trip!